Swimmers must focus on eating balanced and nutritious foods all the time. It boosts the energy levels and helps in good performance. It’s super important to re-hydrate with water or a fruits juice after a swim to help replace electrolytes. Within two hours of the swimming eat a full balanced meal rich in proteins and carbohydrates. Myth: Egg raises Cholesterol and adds to your weight. 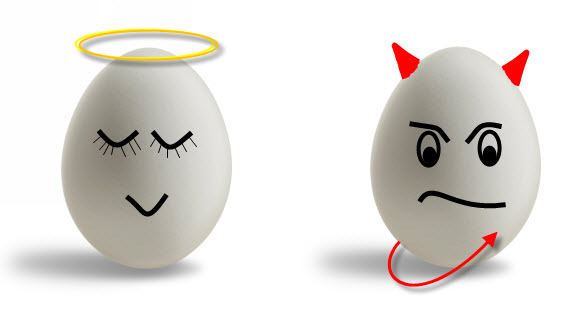 Fact: Egg doesn’t increase serum cholesterol but decreases LDL (Bad Cholesterol). Prefer egg whites as they are rich in protein. Fact: A study recommended at least 4.5 liters of water per day, but the amount of water you need to consume per day isn’t a constant. On hot days, for instance, or after drinking alcohol, you’ll need more water than usual in order to fend off dehydration. By incorporating small amounts of nuts, seeds, lean chicken and fish into your diet, helps maintain a healthy metabolism. Legumes are also a great source of B vitamins; plus they’re chock-full of fiber. Instead of eating a jam or marmalade sandwich, go for a stuffed vegetable sandwich. Substitute the sweet breakfast cereal with oatmeal and eat it without sugar. Add more protein in your diet, like eggs and fish. Proteins stimulate your energy and boost mood. Replace juice boxes for fresh fruit juices as packed juice contain lots of added sugar. Skin conditions of the scalp: An unhealthy scalp can cause inflammation that makes it difficult for hair to grow. Skin conditions that lead to hair loss include seborrheic dermatitis (dandruff), psoriasis, and fungal infections such as ringworm. 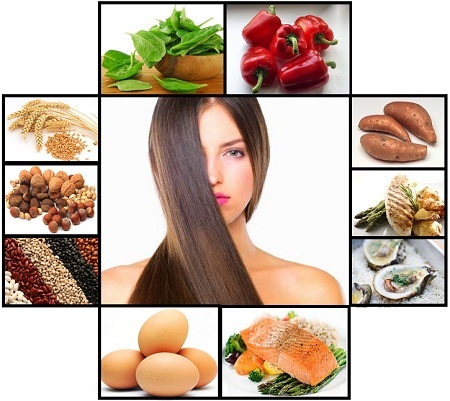 Healthy Tip: Prefer mineral rich foods such as cucumber, mango, pumpkin seeds, beans, almonds, nuts etc and also include dairy products to improve hair growth and to make scalp healthy. Hereditary hair lose :Hair loss that is genetic is known as “androgenetic alopecia” and is the most common cause of hair loss. The gene can be inherited from either your mother’s or father’s side of the family. Healthy Tip: Healthy balanced diet rich in flax seeds, green leafy vegetables, citrus fruits, walnuts, fish and eggs.